Alibaba Group’s Taobao Global: Alibaba Group, one of the largest crosse-border eCommerce platforms, announced to incubate 365 small and medium-sized enterprises by the end of March, 2019.Launched in 2007, Taobao Global has become one of the largest platform for Chinese consumers seeking for premium international products. Meanwhile, it is also a stepping stone for international brands to enter China market. Many of them, for example U.S. handbag maker Welden, have achieved remarkable success via Taobao Global. According to Taobao Global, Small businesses generates a combined 40% in gross merchandise value (GMV). 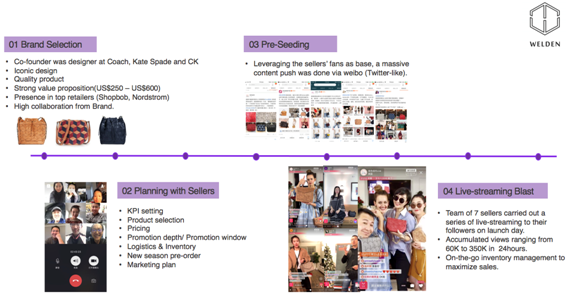 Brand building process through other china social media and KOL platforms like Wechat, Weibo, Little red book and etc. Working on Chinese marketing material, Daigou advertorial, PR article, Chinese brand name, trademark registration, KOL/ bloggers, daigou influencers and so on. Belongs to Taobao platform, which has a large database of buyers and high reputation. Taobao Global has over 500 million mobile monthly active users, then who are they? According to Taobal Global, these consumers are mostly female, under 30. These curious and daring customers are the most active shoppers of imported products within Alibaba platforms. Their global spending (yearly basis) is also the highest. The graph below shows the characteristics of this consumer group. For those brands who want to better understand and enter China market, supply chain partner(SP) is a good choice. Supply chain partners is a third party agency that co-operates with merchants in their e-commerce journey into China. They have the expertise in the local China market along with the distribution channels, brand marketing talent that allows them to service the Merchant. The graph below is from Taobao Global official introducing the advantages of SP. Successful stories of Taobao Global? 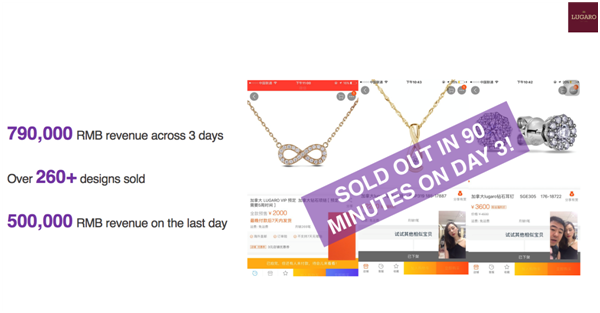 In a two-day live-streaming activity organized by Taobao, the C2C platform owned by Alibaba, Welden, a small and young brand from America, generated nearly $300,000 in GMV. The campaign was launched in last November and it was Welden’s first step into China. By the end of the second day, Welden had got a 1.7 million livestream views and nearly 1,000 bags priced from US$195 had been sold. (Taobao Global, 2018). Here is the whole campaign process of Welden. Lugaro, the Canadian jewelry brand, also use KOLs with a large number of followers on Taobao Global and some other social media platforms like Sina Weibo to do a three-day live stream for several hours at a time. After this three-day event, Lugaro sold over 300 pieces of jewelry priced from C$500 to C$1,000. The results, showed in the graph below, were overwhelmingly good. (Alizila, 2018). Unlike other marketing companies and SPs, iSynergi is partnering with Taobao to help brands enter and achieve success in China market. iSynergi provides the whole marketing solutions for brands to build brand awareness, develop sales channels and finally succeed in China market. Besides Taobao, iSynergi has various online channels like Alibaba.com, Tmall Global, JD Worldwide, Kaola.com and offline channels like distributors and supermarkets in China to help brands well develop via the most suitable platforms.